Happy hello to you my friends. And today is the wedding of a special friend. We used to work together and she always was a great and sweet girl... a good person... who had gone thru a lot... and those "thru a lot" in our lives make us stronger. She moved to Miami a few years ago and started to build a different life... We are now so happy to know she's getting married and that she's happy. Since we are in the mood of wedding... I thought it was appropriate to share this little envelope I made for the Papeles y Más magazine. It was published in the recent edition of June-July. I stamped the image (from Unity Stamp Co.) in vellum, and then cut. 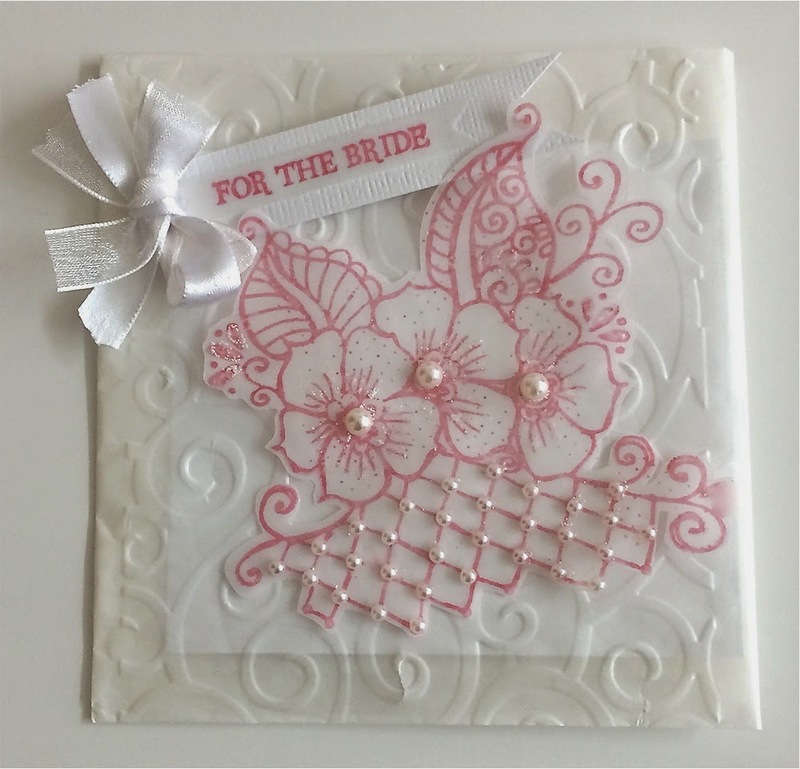 Added pearls for a delicate touch and adhered to the embossed envelope. 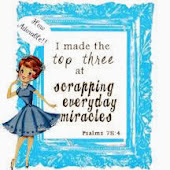 Then finished with a sentiment also stamped in vellum and framed with card-stock and a ribbon bow. The idea was to create a delicate, CAS, but full of feminine details project. I think I made it. I am linking this to Unity's Friday Friends with Flair. You can leave a comment for a chance to win. Don't forget to visit the other girls. Have a great fabulous super Friday! Stunning! 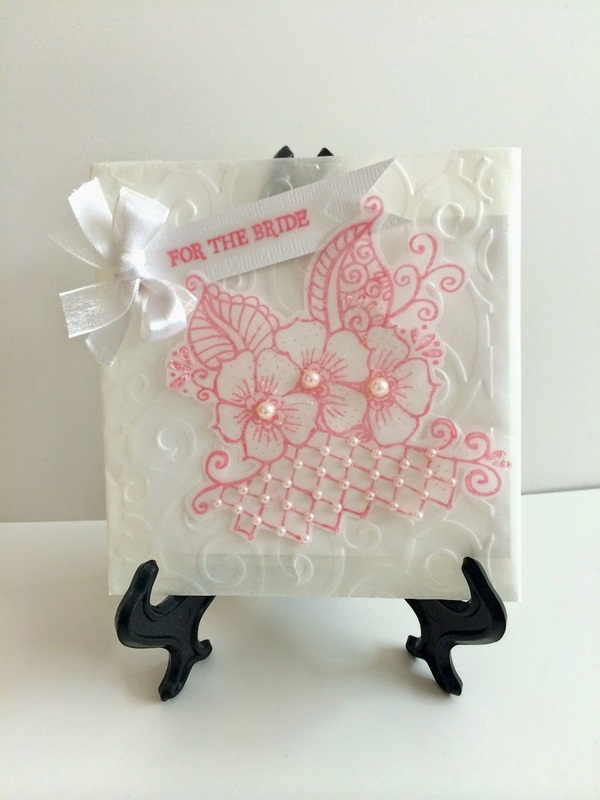 Love the delicate look of light pink on the vellum and those pearls are a perfect touch! Very pretty card. Perfect for a wedding. It is so pretty with the pink. That is so pretty! Love the way you embossed the vellum paper. that is a Beautiful card! I love the pretty colors! Saw this on FB, and loved how very delicate it is! This is gorgeous! I love the feminine look of it. What a delightful, feminine card!